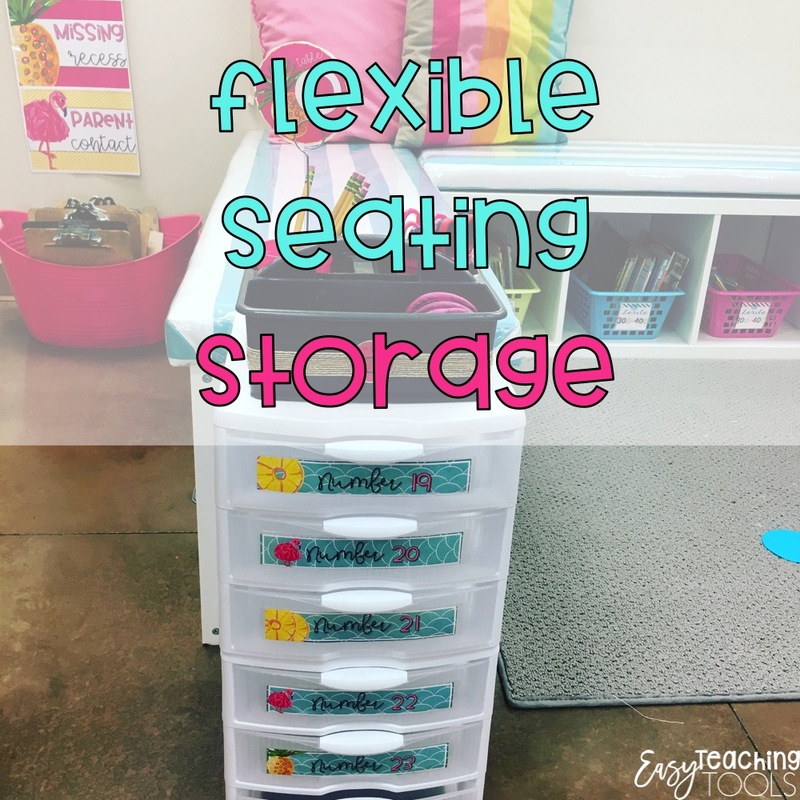 When I fully embarked on the flexible seating journey last year, I wasn’t sure where my students would store all of their stuff. 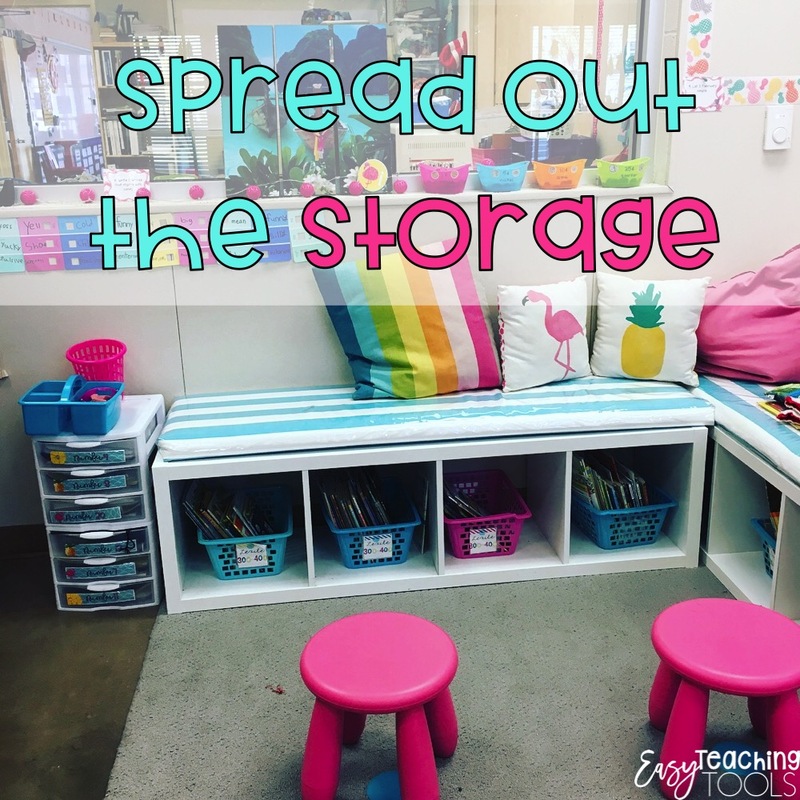 Where will their books go, notebooks, and supplies? Was I going to do community supplies, individual supplies, or a mix of both? 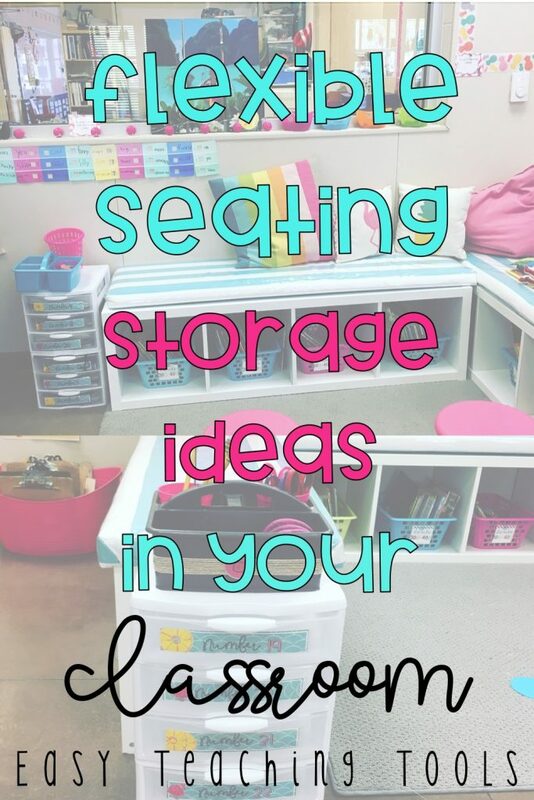 See what worked and didn’t in our class as we tried our different flexible seating storage. 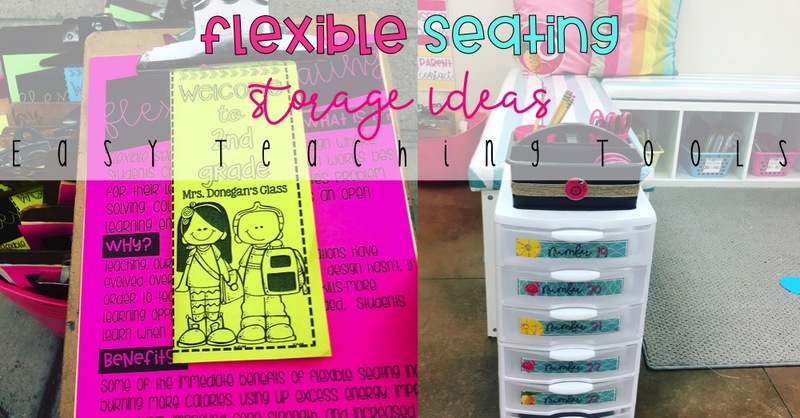 I had 4 towers (each tower held 6 drawers) of sterilite storage drawers spread throughout out room for students to store text books, interactive notebooks, classroom dictionary, and other materials. I bought the medium sized drawers but if I were to do it again, I’d get the large for a few extra bucks. 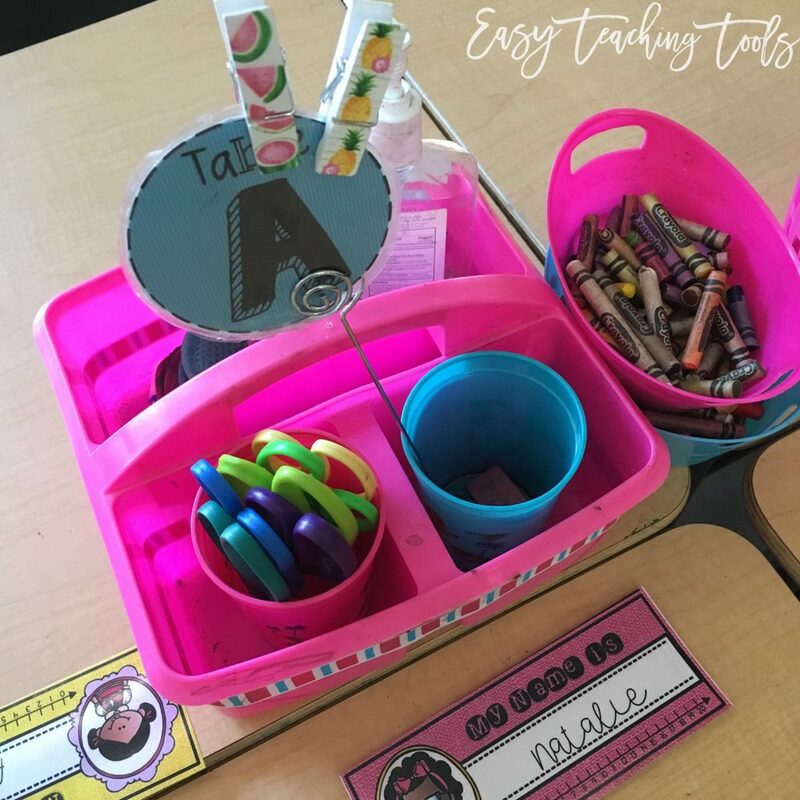 Each drawer was labeled with a student number inside the Target adhesive labels. At first, I thought we’d be using community supplies because it’s what I’d always done. But some of our seating options were smaller and it made leaving a caddy nearly impossible. So after a week, we ditched the community supplies and went to individual. I had student bring in a fabric pencil pouch to keep pencils, scissors, glue sticks, expo markers, erasers, a highlighter, and a sharpie. 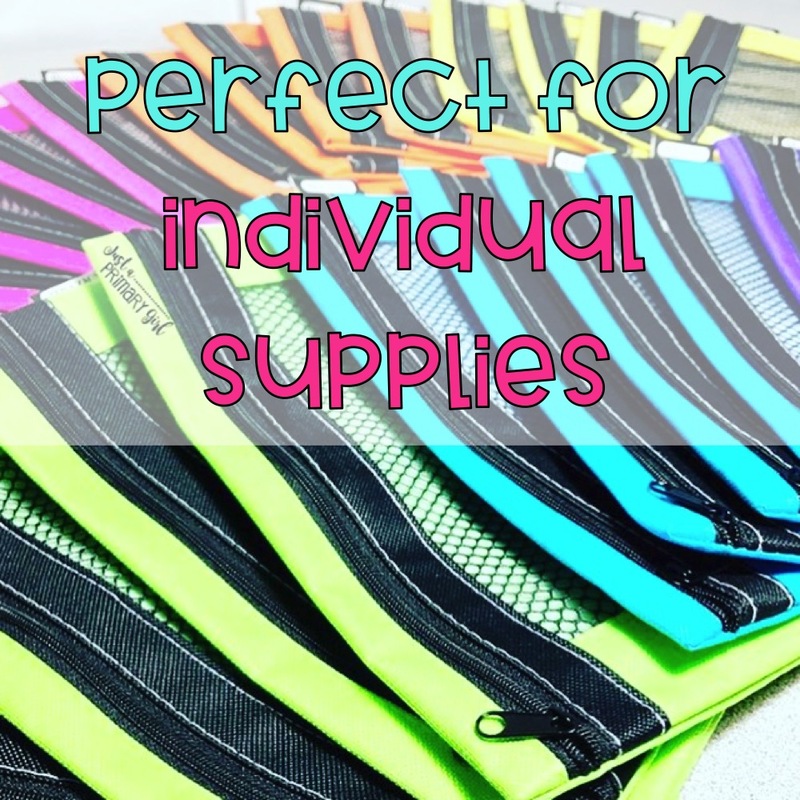 The fabric pouches were easy to store and less bulky than the plastic ones. I made sure to buy extra pouches for friends who were unable to bring one in or broke theirs at some point. Students always have some sort of unfinished work. 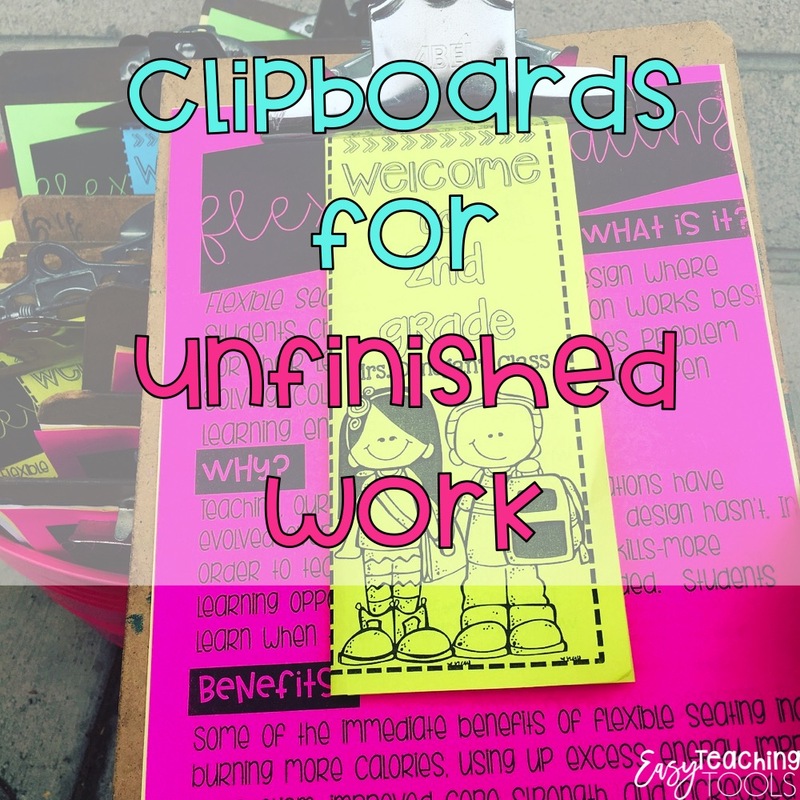 Since we didn’t have desks…and because I love this hack, students put their unfinished work on a clipboard. 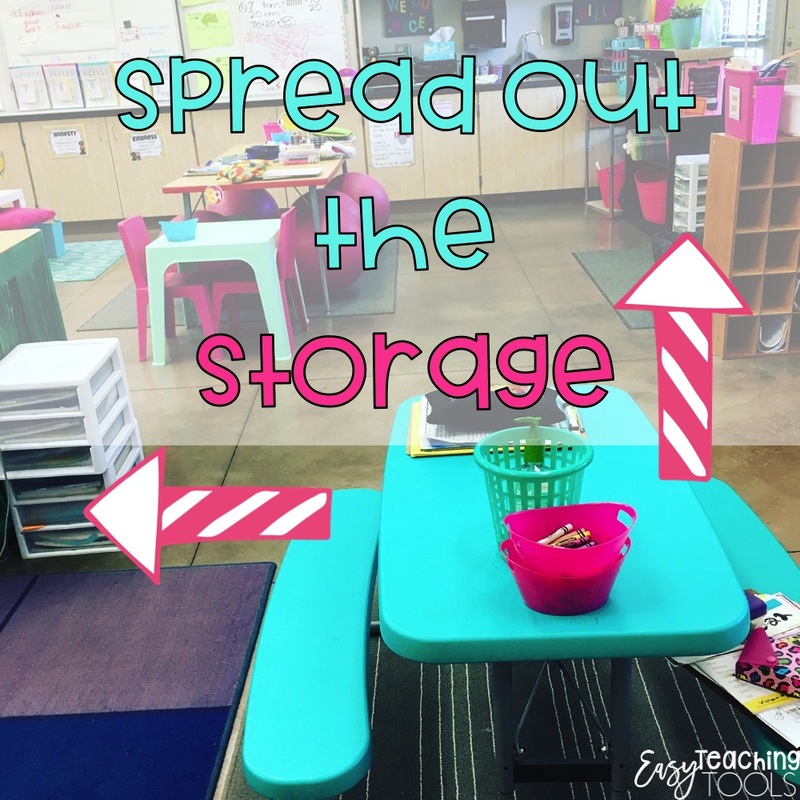 They kept their clipboard with them as they moved throughout the room. 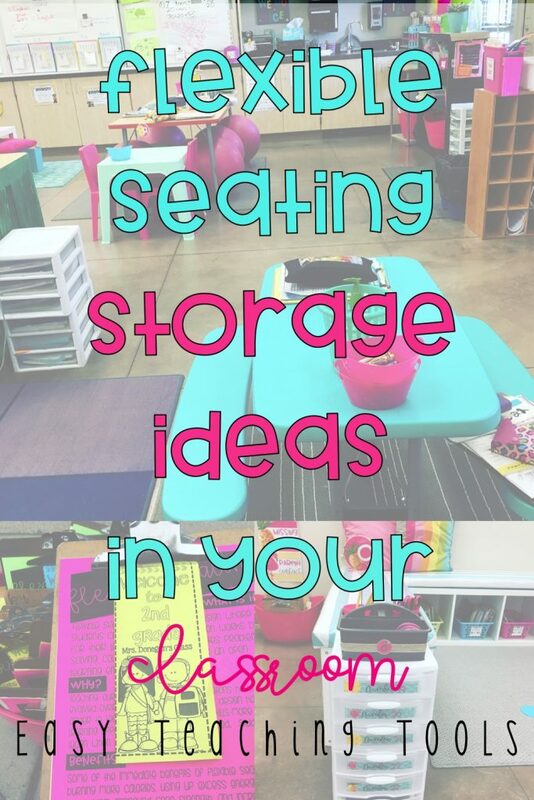 I’ve shared about this hack a few times here.